You are here: Home / brites are BSL authorised! 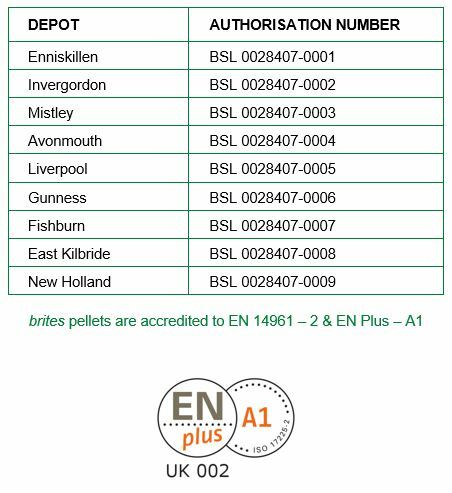 In preparation for Ofgem’s new requirements, we have taken steps in advance to ensure that all Balcas brites are certified on the Biomass Suppliers List. From now, all brites supplied in bulk or bags directly from any of our production facilities or depots are BSL authorised meaning you can continue to enjoy brites heat in your home, business or farm knowing your fuel is of the highest industry standard.